A screenshot from "Food Fight - Inside the Battle for Market Basket." Rick Ganley speaks with Portsmouth filmmaker Jay Childs about his documentary. 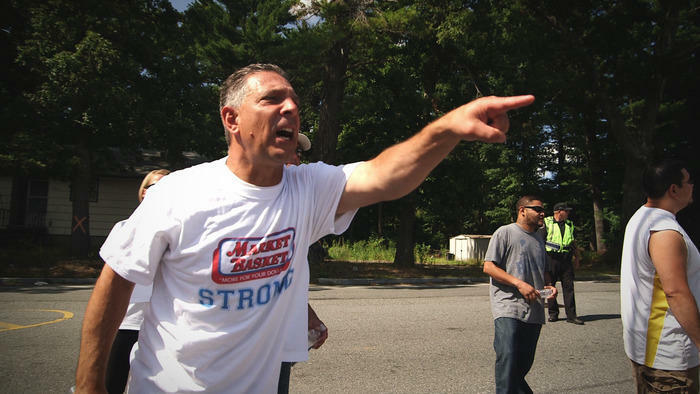 A documentary is in the works that chronicles the Market Basket saga that unfolded last summer. 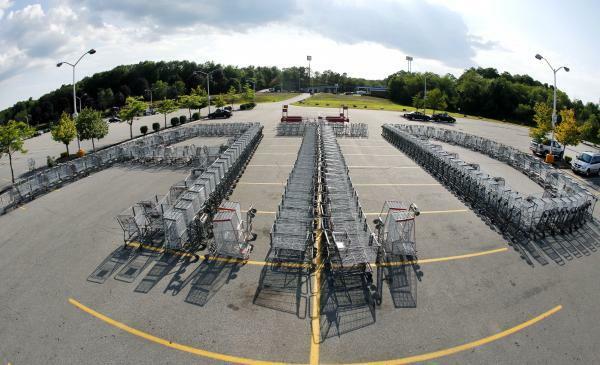 “Food Fight – Inside the Battle for Market Basket” is a project directed by Portsmouth filmmaker Jay Childs. You can learn more about the film on the project's Kickstarter page. He was there with his camera to capture the story as workers protested and customers boycotted the firing of CEO Arthur T. Demoulas. Jay Childs joined Morning Edition to talk about the project. When did you decide to take on this project? When did you know this was a story you wanted to tell? It was actually earlier in the year in 2013 when a friend of mine who’s an assistant manager at one of the Market Baskets, and I’d been talking about film ideas as I often do. His wife said I should do a story on the Demoulas family and the Market Basket business that’s just in constant turmoil. It’s been an epic battle. The Demoulas family has been arguing for 30-something years. Exactly, but that dichotomy between the two was really fascinating, so I started doing some research having no idea that in June he was going to be fired and the whole thing happened. Artie T. was reinstated in late August. He bought the company for $1.5 billion. What have you been doing to work on the film since then? How did you decide to complete this story arc? The first thing we did was to cover as best we could the night of the agreement. The first thing we did on a tip was head right to the warehouse in Massachusetts. The shutting down of the warehouse was one of the first big shoes to drop. There were workers coming in at 1 in the morning, 2 in the morning, not waiting until 6 o’clock to get things going. So we were right there in front of the warehouse interviewing some of these people as they came in, still in shock that this was actually true. Since then, it really has been the story of recovery. They went from being a company with half a billion dollars in reserves to financing about a half a billion dollars in taking over this company, $1.5 billion worth of this company. That’s very large debt for a company with 70-something stores. Absolutely. So how are they going to do that? How are they going to come back? What’s going to change? What won’t change? And then, the opening of some of these stores; getting these stores that were somewhat mothballed back on the path to being opened. So we covered the first store opening since the labor action. We’re also covering the ramifications. MIT, business schools, think tanks are trying to unpack what the lessons are. Right, because this was a really unique story. This really is unprecedented in labor movements around the country. There’s no union involved here, so the employees weren’t technically striking, they were revolting. The solidary of 40-something days, customers staying away. This really is a case study for business schools now. And PR, the PR lessons of this. We did some interviews at MIT a couple of weeks ago and they’re fascinated with of this towards what they called a “good job strategy.” They see this as possibly the model going forward that people may start to demand more in the companies that they do business with. Obviously, when you’re talking to the employees and managers at the stores, are they a little leery first of talking to you? How do you gain their trust and how do you keep your distance and keep that independent feel to the film? Over the course of the summer, they saw me as that guy who just kept showing up. After a while, they began to see that I was really interested in getting an honest story. I was not part of the daily news cycle, but they respected the fact that I was also doing an independent film. We would do interviews that I told them would not air; they’re going to go into the archive and won’t be seen until the film comes out. And that happened, so over a while, I got the trust of a lot of the architects of the rebellion, while at the same time, remaining clear that there was this journalistic bright line that we’re not going to cross. Obviously a project like this takes a lot of funding. You’ve got a Kickstarter campaign going. That ends this Sunday. How do you plan to use that money from the campaign? So we’ve got some production left to do and we’ve hired a cinematographer, we’ve got some interviews left to shoot, we’ve got some other things we need to shoot. And then we need to get into at least the rough cut phase of putting all of this footage together with the interviews that we’ve shot. We’re raising funds for that. It’s for the entire budget. The budget to put a film like this together is well beyond what our Kickstarter is, but it’s sustaining funds to allow us to bring in the talent we need to get this where it needs to be. What’s your goal for the film once it’s finished, as far as distribution? Do you feel there’s a national audience for what was essentially a New England-based story? I think so, and that’s what I like about stories like this. It’s a story about a job action around a grocery store chain. Why should I care? And it’s like, give us five minutes of your time, and we’ll hook you to want to know more about this story. The 4 percent discount that Market Basket shoppers enjoyed on most purchases for the past year is coming to an end. The New England supermarket chain introduced the discount in January in response to high energy costs and cutbacks in the federal Supplemental Nutrition Assistance Program. Company officials tell The Boston Globe the plan was always to phase out the discount, which ends on Saturday. A tumultuous year for Market Basket is coming to an end with Arthur T. Demoulas formally in charge of the company. Demoulas and his family announced Friday that they have completed the purchase of the 50.5 percent of the company that was controlled by his cousin. Demoulas offered $1.6 billion in the buyout proposal in August. Other details of the deal weren't disclosed. The nearly century-old supermarket chain based in Tewksbury, Massachusetts, has 73 stores in Massachusetts, New Hampshire and Maine. The morning after officially kicking off her campaign for re-election, Governor Maggie Hassan joined Market Basket CEO Arthur T. Demulous in Londonderry to thank workers for their dedication. Calling Market Basket a “New Hampshire institution,” Hassan said the company exemplifies fair treatment and respect for employees. “Your efforts all summer were a heartening display of dedication, of loyalty, and really what’s possible when people come together,” she said. 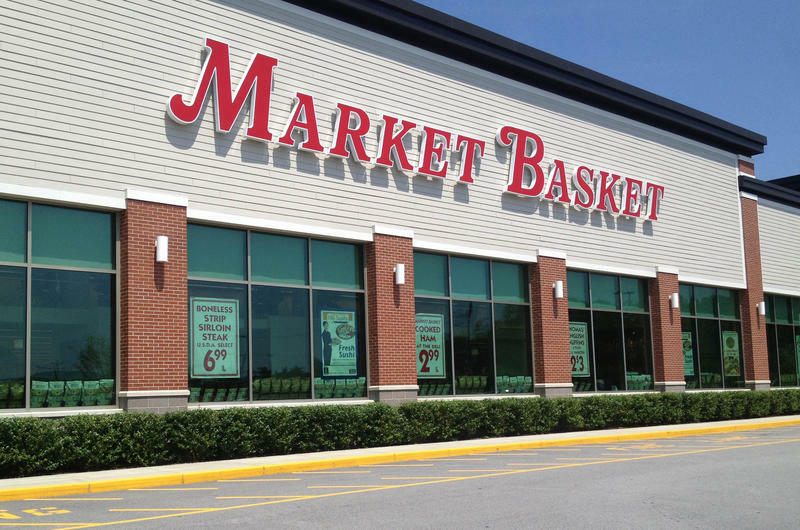 Market Basket is looking to new customers as well as old as it begins its recovery from a six-week employee walkout and customer boycott. Store managers of the New England supermarket chain say they are seeing a lot of new faces in the food aisles since the board of directors agreed to sell the company to its ousted leader, Arthur T. Demoulas. Employees have been working around the clock to restock store shelves. Managers say they expect to be nearly fully stocked this weekend. The turmoil at Market Basket actually dragged down U.S. jobs numbers last month. In the August jobs report issued Friday by the Bureau of Labor Statistics, “employment disruptions at a grocery store chain in New England” is cited as having an impact on food and beverage employment numbers nationwide. The sector saw a job loss of 17,000 last month.